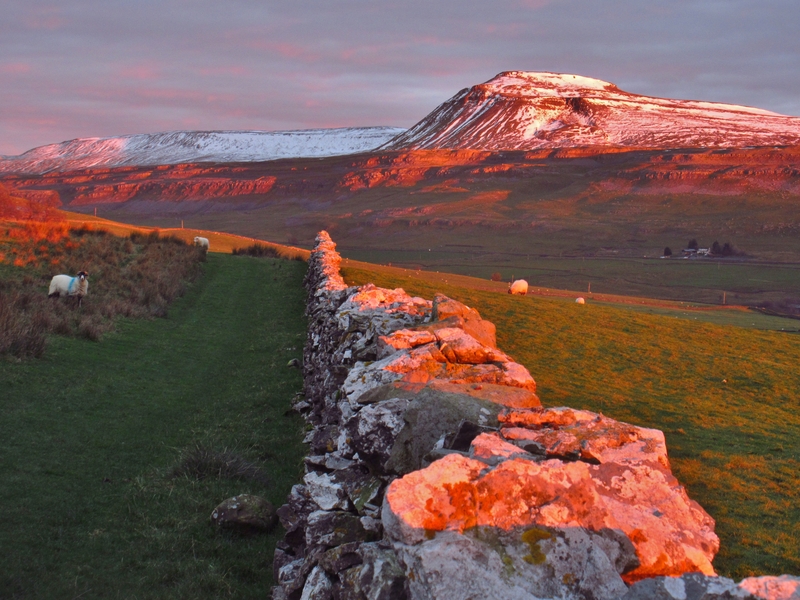 Back in the early twentieth century, water sinking into the Great Scar Limestone above Crina Bottom (SD727737) was known to resurge once it reached the Ingletonian slates south of the B6255 road below White Scars. This spot (SD714746) is marked today by a small reservoir and the important resurgence may go unnoticed by a passing motorist as it flows into the River Doe just to the north-east of Ingleton. 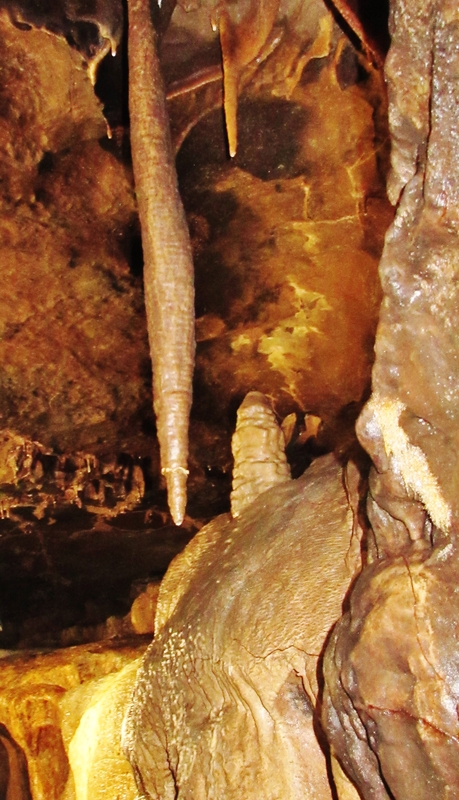 All focus is usually saved for the longest show cave in Britain; unknown until 1923. In August of that year, Christopher Francis Drake Long, a Cambridge undergraduate, sat up on Scales Moor after a bout of heavy rain. 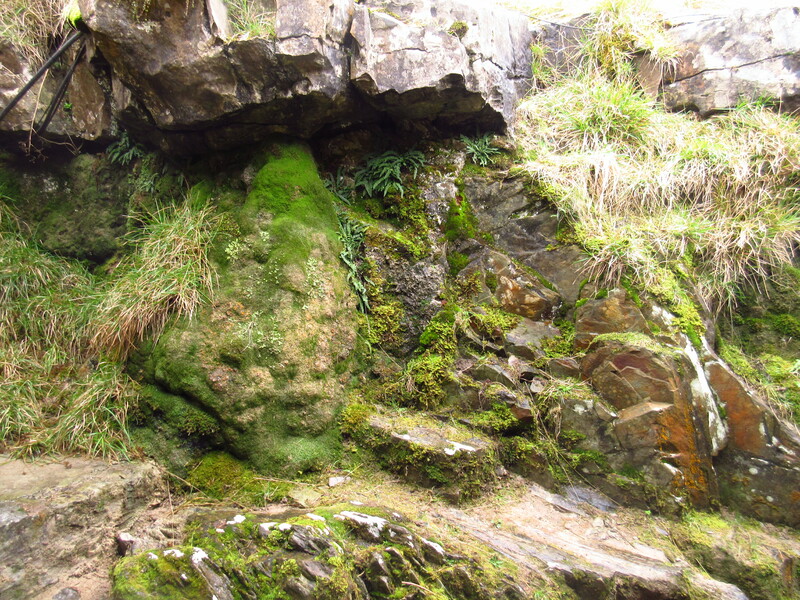 Using binoculars, he aimed to pick out the possible ‘abandoned’ exits to a cave he knew must exist under the thick mass of Great Scar Limestone between the basement slates and the Crina Bottom sinks, 110 metres higher up on the fell. Noticing water emerging from a usually dry slit to the right of the main resurgence, he headed across the valley and, in nothing more than his walking clothes and with a few candles stuck into the brim of his hat, crawled inside. 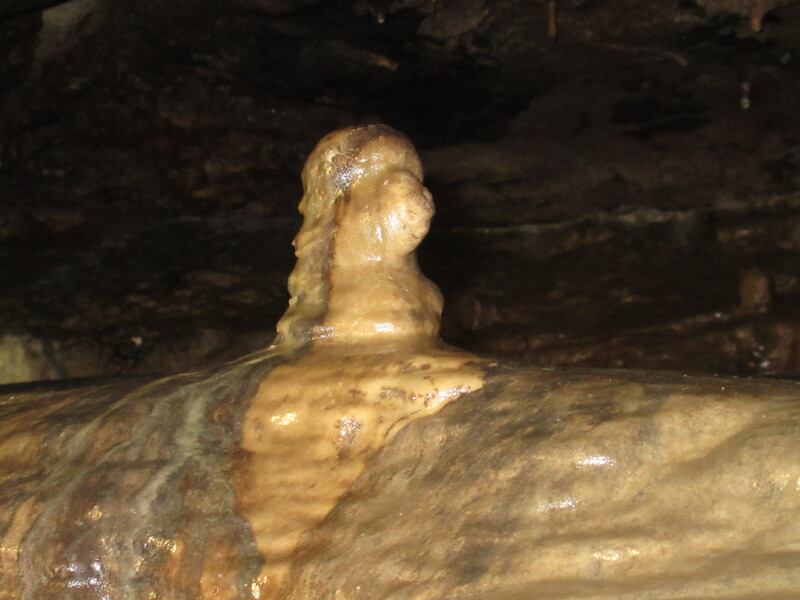 Spurred on by distant rumblings, delicate stalagmite barriers had to be broken and were a sure sign that no human-being had ever passed that way before. Braving ice cold water and nearly four hours later, he reached the first waterfall in what we know today as White Scar Cave. With those two middle names he was clearly a born explorer. The following day, and for weeks afterwards, he discovered an astonishing array of features, being thwarted only by a massive boulder – ‘Big Bertha’ – blocking further progress at the end of ‘Long Stop Lake.’ No doubt his adventurous spirit could have taken him further, but he took his own life in a fit of depression just a year later. He was 22 years old. Long’s crawl has since been blasted by miners so that the waterfall which took him hours to reach now takes visitors only a matter of minutes. 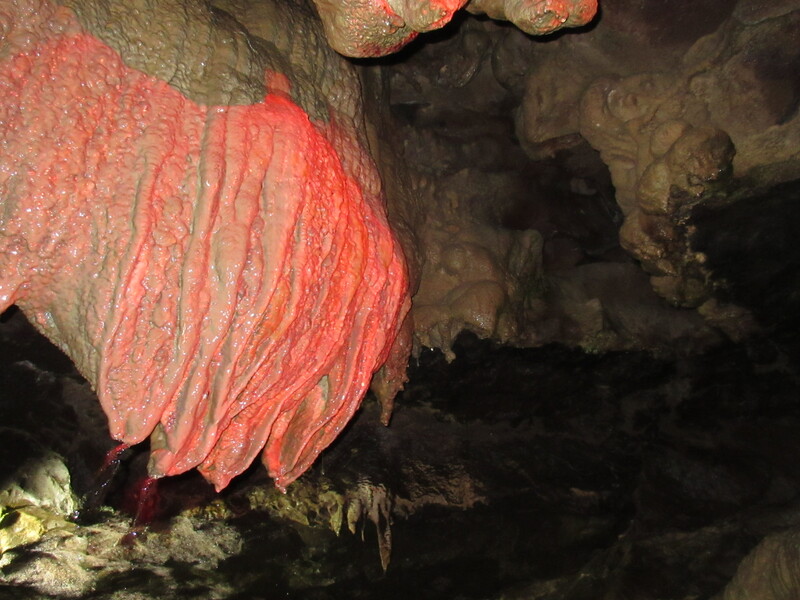 A small section of the original crawl has been preserved just inside the entrance. 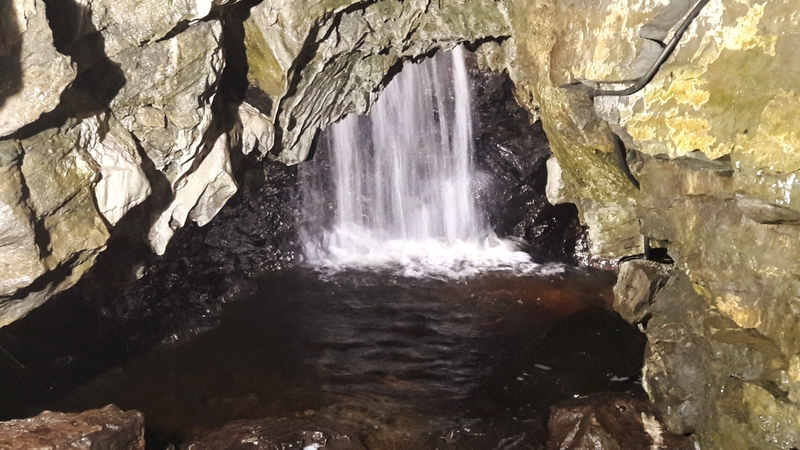 From the waterfall, the stream flows out through totally flooded passages to the resurgence by the reservoir – and after a short further by-pass the show cave continues upstream in a beautiful natural passage known as Long’s Gallery. The cave at this point is entirely in limestone, with the stream still carving its way through various shale beds down towards the slate. A second fall is reached where a tributary comes in, and impressive flowstone curtains and gour pools decorate the way ahead. 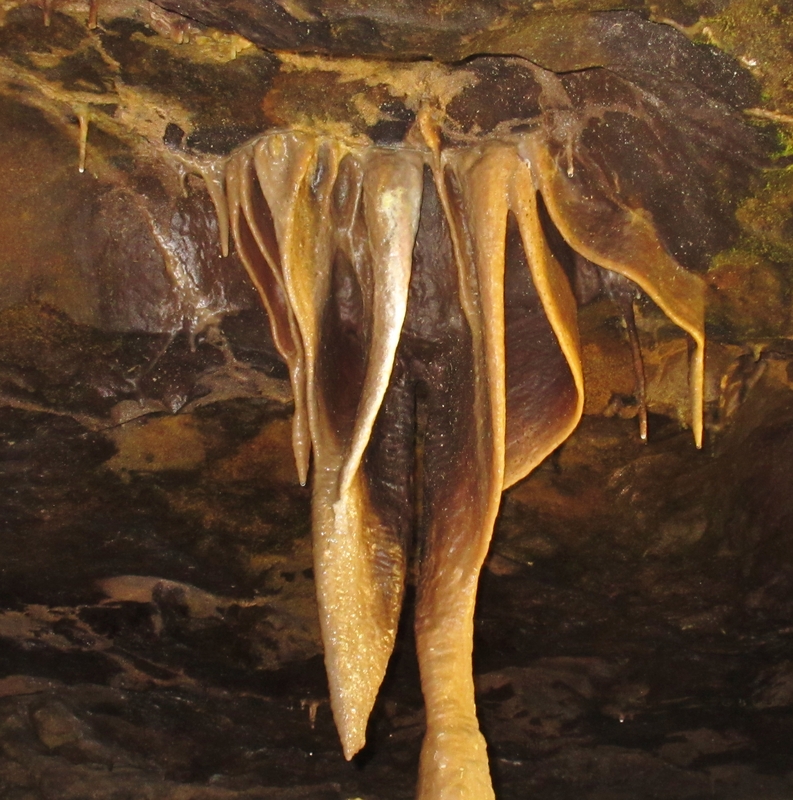 Just beyond the famous formation known as the ‘Arum Lily’ was the termination of the show-cave passage for many years. 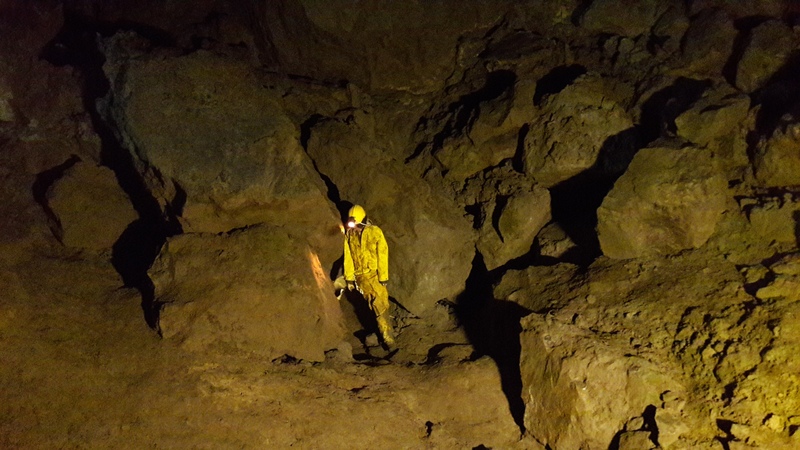 Manager Tom Greenwood and his caving friends pushed beyond Long’s limit in the 1930s, but it was not until decades later that the most startling discovery was made. The Happy Wanderers Caving Club had been exploring White Scar for years, but in 1971 they dug upwards through the boulder choke beyond Big Bertha. Nineteen year old Hilda Guthrie, the only female in the group (presumably just the right size to fit through the tiny hole) emerged into a massive cavern, 91 metres long and 18 metres wide, which she duly christened ‘The Battlefield’. 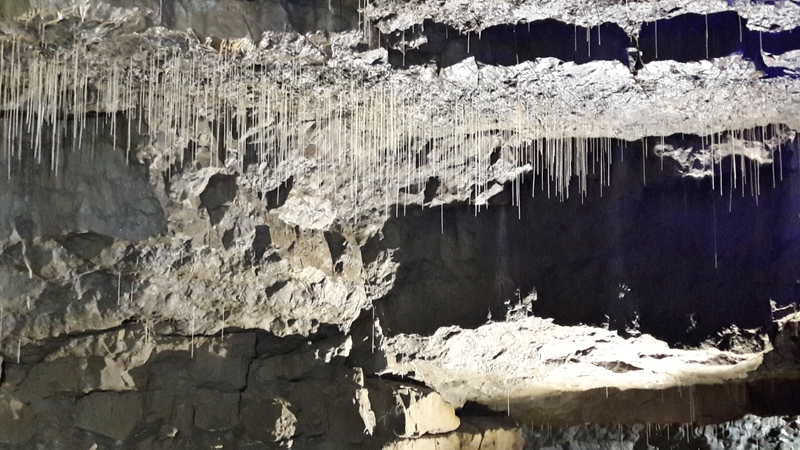 For 20 years it remained the exclusive realm of cavers until a passage was blasted through to allow the public access to the magnificent straw-filled chamber, the largest under western Ingleborough. The Battefield pre-dates the last two glaciations and was actually the course of the underground river long before the valley was deepened by the action of ice. Men reached the moon before Hilda was the first human being inside this silent arena. The delicate mud deposits, with their crazy-paved appearance, are one reason why this is a designated Site of Special Scientific Interest. Bizarrely, the lines etched into the mud appear to spell out ‘Harry’ – an old name for the devil, and perhaps fitting in this underground lair. 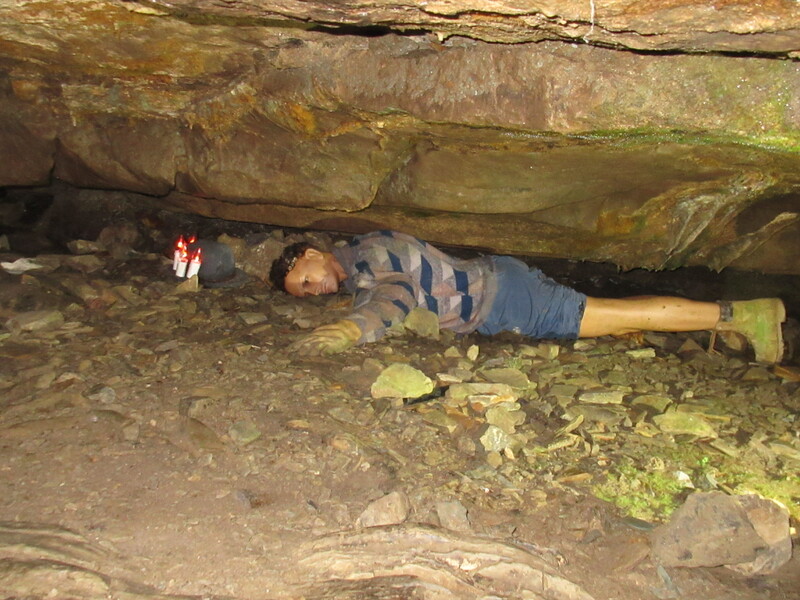 The cavern inside the Battlefield lies about 70 metres below the bottom of a shakehole on the surface above, but no link has yet been found to allow a caver to ‘go in one end’ and ‘out the other’. Fingers crossed – it’s bound to happen one day!